My co-host Cyndera and I are very excited to announce a new format for the Archetypal Tarot Podcast. We will be revisiting the Major Arcana but this time with special guests giving their insights on the themes and ideas presented by these ancient yet totally relevant archetypal stories. We start the new year off on the topic of Passion, it’s nature and how we can actually nurture a sense of vitality and adventure in our lives. 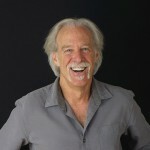 Our guest for this edition is an author who has literally written the book on the nature and nurture of passion, Gregg Levoy. 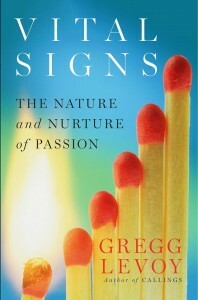 Gregg is the author of the best selling Callings: Finding and Following an Authentic Life and puts his keen sense for creative insight as well as a Storyteller’s magic into his new book Vital Signs: The Nature and Nurture of Passion. Ultimately, passion is a life skill—a stance—that helps bring vitality to all our engagements: from work, family and school life, to creative, social and spiritual life. And it’s a survival mechanism—critical to health and well-being—because your attachment to life depends on your interest in it. We think you will really enjoy Julienne’s conversation with Gregg about passion, creativity, the call of the wild, the archetype of the Fool, Vampires, Zombies, Intuition and the practice of living our lives fully. Passion is an unstable element and will naturally degrade over time but some very simple, yet powerful practices have the ability to heat things up again. Not only is passion something we start to miss over time but it’s important to our overall health. As Gregg says in our discussion “Our attachment to life depends to a great degree to our interest in it.”. Without interest, everything fades, including our health. It’s no wonder Zombies and Vampires have been of such an interest in the last few years – we fear the life being sucked out of us by routine and a lack of creativity. You can listen to the entire podcast below or subscribe to the podcast in iTunes and never miss an episode. We have a very exciting line up of authors, teachers and creators lined up for future episodes. Right-click and save this podcast to your device. 1) Pay attention to what is trying to emerge in your life. 2) Remember that you have a ‘use by’ date. 4) Always give yourself something to look forward to. 5) Look for where you’re restless – ask yourself: What wants to move? And where does it want to go? The Archetypal Tarot Podcast is a production of Both/And Media. I Feel It All by Feist – An anthem for a full & passionate life.